The Wild Place Project, near Cribbs Causeway in Bristol, is a sister park to Bristol Zoo. It opened in 2013 and we have been regular visitors ever since. It has been lovely to watch it grow and expand and it is obvious that the staff and keepers have a great affection for the place. The emphasis is very much on the welfare of the animals and their habitats and this is my favourite aspect of the park. 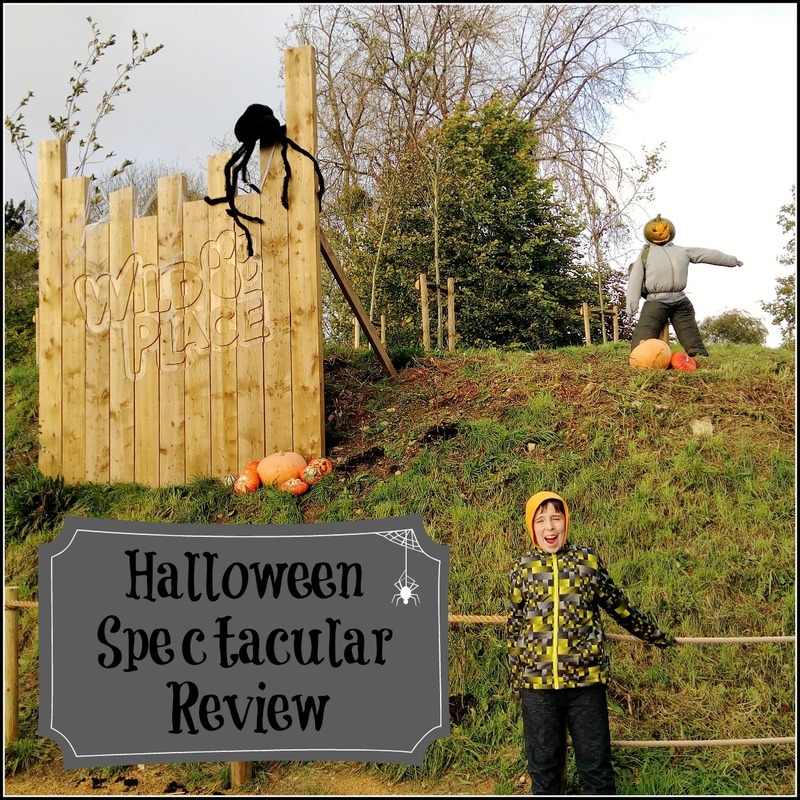 It is very close to our house, so we visit a lot, but this time we were invited to review the new Halloween Spectacular, taking place over half term (21st-29th October) and received free admission in return for letting you know what we thought about it. On Saturday, we attended the first day of the Halloween Spectacular and we didn't really know what to expect. The first thing we couldn't help but notice was all the Halloween decorations around the park. 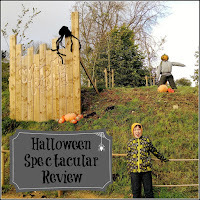 The pumpkin people were really effective and creepy, but reassuringly far away for little ones! Around every corner there was something new and spooky to see and the backdrop of the forest made for a really eerie atmosphere. There were so many pumpkins, too, all individually carved, and they looked great. If you are looking for inspiration for your own pumpkin carving efforts, this is definitely the place to be. We weren't given a map on arrival, but we saw other children with leaflets, that seemed to have activities related to the event, which I think would have really helped, to make sure we didn't miss anything on the way round. We didn't get to meet the Witch of Wild Place, which was a little disappointing, but the witch's house was at the other end of the Barefoot Trail, which was closed off due to high winds, so that couldn't be helped. 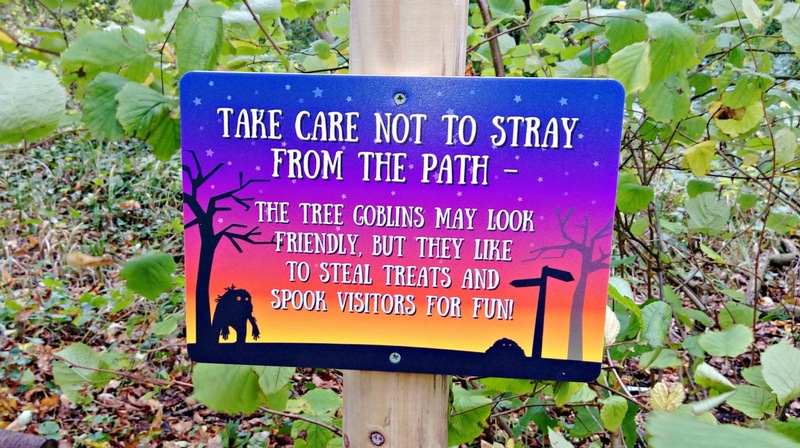 We did really enjoy hunting for the Tree Goblins that had taken up residence in the woods, though. It really added to the spooky ambience of the occasion! If you book online during the event, a child's ticket is just £5, making it a really inexpensive day out. As well as Halloween fun, there are also really enjoyable animal encounters to get involved in. 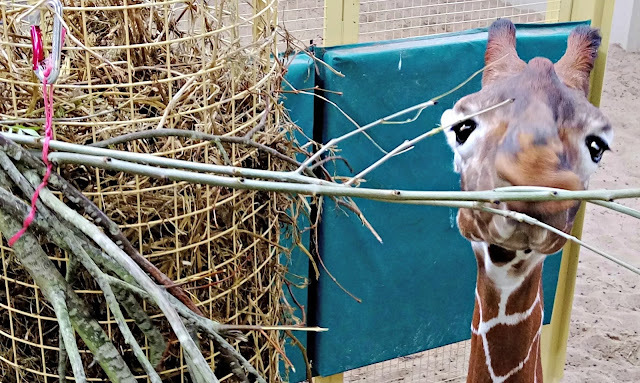 Our favourites are the lemur walk-through and the new giraffe enclosure, which is really well designed and gives you the opportunity to get really close to the giraffes. What's great about The Wild Place Project is that the environment is really well thought out. It's a beautiful location and there's lots of space, so it feels really relaxing to walk around. There's lots of space where children can run around safely and there are indoor and outdoor play areas where parents can sit and watch their children play. We love how The Wild Place Project has grown over the last four years and think it represents really good value for money. Thanks for the review on the Wild Place Project. 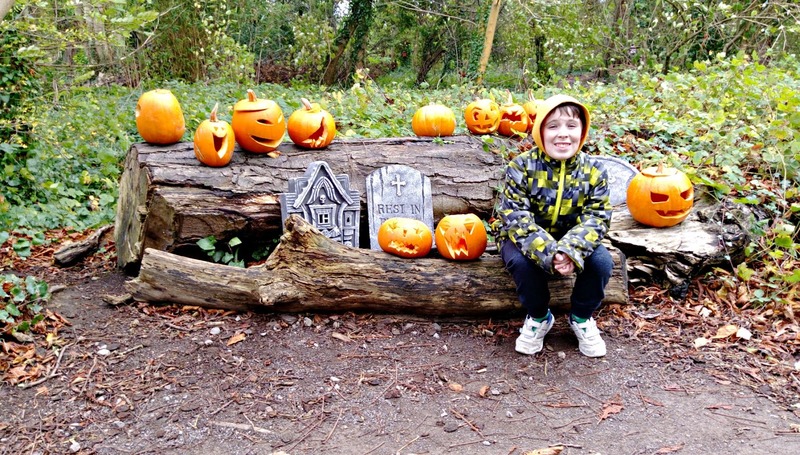 The children had other plans this Halloween but we will try to get over to look at the animals in the Spring.